The Saudi-led coalition battling rebels in Yemen accused the militants on Tuesday of using peace negotiations to rearm, after an escalation of fighting following the talks' suspension. "They were deceiving people by this negotiation, to re-organize their force, re-supplying their forces and getting back to fighting. They don't have any political agenda," Brigadier General Ahmed Assiri, the coalition's spokesman, told AFP. He said the coalition, which launched strikes against the Shiite Houthi rebels in March last year, would do "whatever it takes" to restore security in Yemen. Coalition warplanes resumed major strikes around the rebel-held capital Sanaa last week following the collapse of the talks in Kuwait after three fruitless months of negotiations. The coalition says the suspension of the talks followed increased ceasefire violations by the rebels, who are allied to forces loyal to deposed Ali Abdullah Saleh. Assiri said the rebels had violated the ceasefire -- which was in conjunction with the UN-brokered talks -- "since day one", Assiri said. As a result, the coalition was forced to provide "reactive" air support to Yemeni troops while the talks continued, he said. 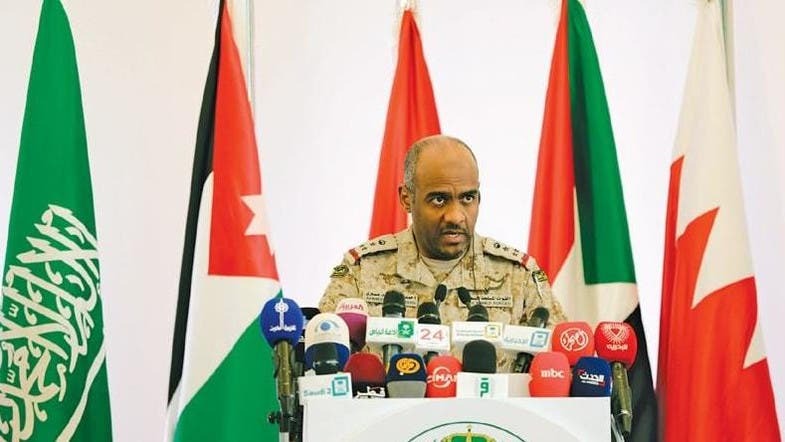 Now that heavier bombardments have resumed, the coalition aims to support Yemen's government to regain control of the country as well as to protect Saudi borders, Assiri said. Days before the suspension of peace talks on August 6, 12 Saudi soldiers were killed in border clashes during the most serious fighting in months along the frontier. Last week, the coalition said it intercepted two ballistic missiles fired at southern Saudi Arabia. Intensified rebel shelling also killed two civilians on the Saudi side of the border, after months of relative calm. Questioned over what has been accomplished by almost 18 months of fighting, Assiri said the rebels are weaker than they were in March last year when coalition operations began. But the "smuggling (of) weapons to Yemen does not stop," he said, despite a coalition blockade of the territory. Riyadh accuses its regional rival Tehran of supporting the Houthis. Asked how long the coalition can sustain the operation, Assiri said that the operation was "for national security, for (the) stability of the region". "It takes whatever it takes," he said. Brigadier General Ahmed Assiri said the coalition would do "whatever it takes" to restore security in Yemen.